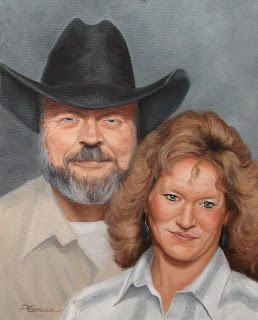 This painting was commissioned. I was given a photo dated 1996 and was asked to add a hat on Charles. I had to rearrange the figures by putting Rebekah in front and lower, she was standing and he was sitting in the photo. 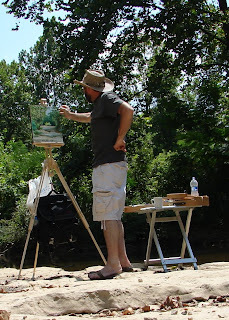 Standing on the flat bed rock in the Findley River, I’m foot loose and fancy free, what a beautiful day to paint. Life is good. I could get use to this. Today’s Painting: a watercolor done En Plein Aire. IT’s good to be back painting with the Springfield Plein Aire group. It looks like I’m going to be painting more now because I was laid off Tuesday. Now it’s time to get busy no excuses about not having the time.